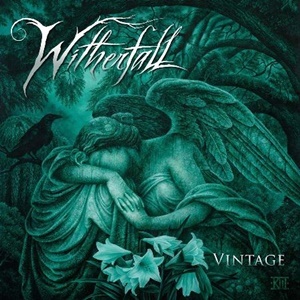 In preparation for a special European run with Sonata Arctica where both bands will be performing eclectic and acoustic-driven sets, Witherfall decided to release a special EP that represents a mixture of stripped down, acoustic material, special covers, and closes with the original electric version of the title track. The EP format perfectly allows the band to test out left field ideas, and hopefully showcase the deeper, melodic and musicianship-laden qualities of the songs on display. When it comes to the originals – the band choose to reinterpret two parts of “Vintage” and a track from their debut album Nocturnes and Requiems in “Nobody Sleeps Here…” as a three-part medley to open the proceedings as well as tackling “Ode To Despair”, with “Vintage, Part 1” showcasing the thoughtful melodies of vocalist Joseph Michael and the tender acoustic guitar underpinning and emotional strumming for Jake Dreyer. “Nobody Sleeps Here…” allows for some layered, falsetto harmonies (think Warrel Dane and Rob Halford), while “Vintage, Part II” features some ripping shred antics that are not easy to be clear and precise on the acoustic framework. The band’s choices for the two covers are as distant as the eye can see – “A Tale That Wasn’t Right” from Helloween, and “I Won’t Back Down” originally done by Tom Petty. The latter takes on a darker sheen because of Joseph’s expressive lower range during the verses but ramps up the power ballad feel with the electric power chords and glass-shattering melodies for the chorus. The real surprise is the Tom Petty cover – taking the normal up-beat hook and melody and twisting it into almost a Type O Negative-like somberness, a metal interpretation even in an acoustic aural framework. 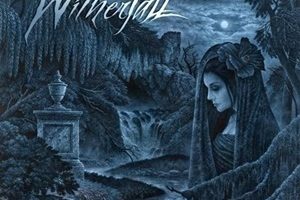 Fairly active on the recording front and picking opportunities to elevate their profile on a variety of tours – Witherfall could be one of those breakthrough acts in a scene that desperately needs some new blood to gain a following. 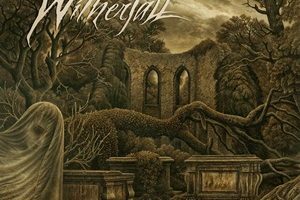 A wide-ranging EP like Vintage could get some fence-sitters or first-time listeners into their camp, willing to explore their heavy/power progressive metal wares past and present.